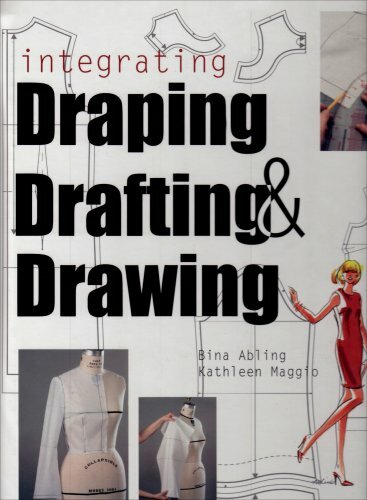 'Integrating Draping, Drafting, and Drawing' teaches these three techniques of creating apparel designs the way they are practiced in the industry, that is, by integrating them throughout the creative process. Kathleen Maggio started making clothes for herself at age nine. She has taught fashion design at Mayer School and Pratt Institute. She currently teaches pattern making, draping and construction to juniors in the BFA program at the Parsons School of Design in New York City. Photographer Tim Maggio owns a business that integrates photography, technology, and design. Both live in New York City. Elaine Stone wasProfessor Emerita, Fashion Institute of Technology, New York.Bina Abling teaches in the Fashion Design departments of FIT and Parsons School of Design in New York City. She is the author of Fashion Sketchbook, 4th Edition, Advanced Fashion Sketchbook, Model Drawing, and Marker Rendering for Fashion, Accessories and Interior Design. Bina's knowledge and experience comes from 10 years in the fashion industry and 15 years of teaching.